Gardner, 49, chose to die by firing squad - an option open to him because he was convicted before Utah adopted lethal injection in 2004. He was strapped to a black metal chair surrounded by sandbags to stop ricochets. A white target was then pinned over his heart, a hood placed over his head, and five volunteer marksmen armed with .30-caliber rifles opened fire from behind a wall. 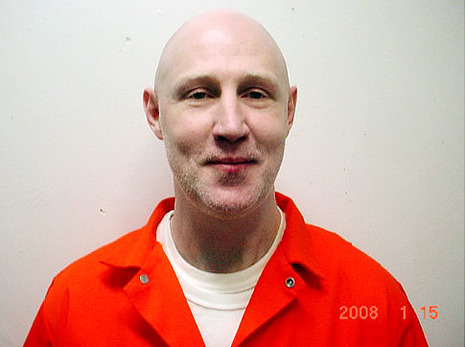 A spiritual adviser and families of the victims of condemned killer Ronnie Lee Gardner are reflecting ahead of his scheduled execution early Friday morning at the Utah State Prison. There is a range of emotions about the firing squad execution. One family says it's long overdue. A girlfriend of one victim pleaded unsuccessfully for clemency. Others are trying to make sense of their mixed feelings. After a last-minute stay of execution was refused, five anonymous marksmen bearing rifles took their places late on Thursday in a prison room to carry out the request of death row inmate Ronnie Lee Gardner: execution by firing squad. Gardner wouldn't have seen the law enforcement officers who volunteered to carry out the death sentence. He would have been bathed in light, while they remained hidden in darkness some 20 feet away. By all accounts, Michael Burdell was a gentle soul with a soft spot for people in need. A Vietnam veteran, he was issued a weapon but refused to carry it, serving as a technician on communications equipment, his fiancée, Donna Nu, said in court documents. The two had known each other for six years. Had Burdell, a 36-year-old attorney, not died on April 2, 1985, shot to death by Ronnie Lee Gardner during Gardner's escape attempt at a Salt Lake City courthouse, they would have been married.